Produktinformationen "Cobra AMP Cell OS Damen Driver Linkshänder"
Just like our E9 Face Technology™ before it, our new 2013 AMP CELL™ Technology is a great match for our signature offset line. Don’t worry - E9 didn’t go anywhere. It’s just more awesome (dare we say more AMPle) with AMP CELL Tech providing a 12% larger effective face. Has anyone ever told you that you spin the ball too much? The AMP CELL Offset helps bring that spin down and strategically placed discretionary weight delivers faster ball speeds on mis-hits. Dual Roll provides increased distance for shots hit above and below the face center line, meaning the entire face is spoken for in your favor. Now you will be further down that fairway than ever before. Sounds like unconditional love to us. 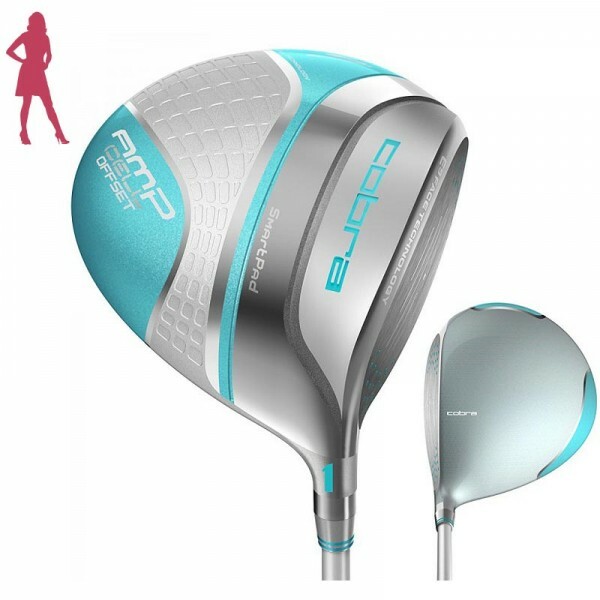 Weiterführende Links zu "Cobra AMP Cell OS Damen Driver Linkshänder"
Kundenbewertungen für "Cobra AMP Cell OS Damen Driver Linkshänder"